We’ve judged the Moderno located at 12th just south of U St, NW. 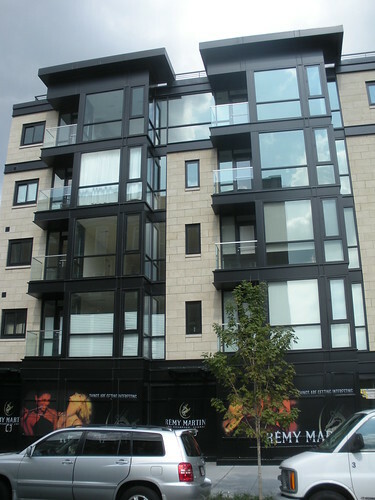 We’ve even discussed what they mean by European style residences. 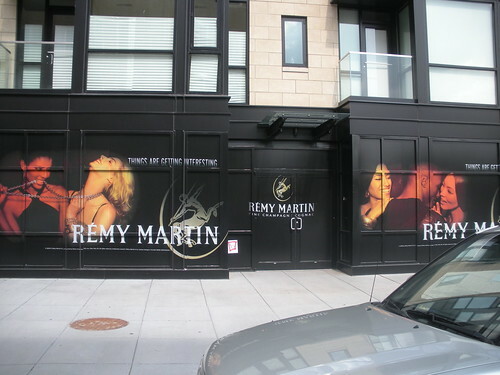 I swear I’m not picking on them, I actually think the building looks pretty cool, but what’s up with their Remy Martin ads on the first floor? Are they just waiting to get retail in? I actually thought the first floor was just the lobby. If you lived in the building would you be upset at having a huge ad like this on your building?